ATLANTIC BEACH, FL — The 2019 annual conference of the National Vehicle Leasing Association (NVLA) took place March 27–29 at the One Ocean Resort & Spa in Atlantic Beach, Florida. Coming off last year’s 50th anniversary honoring its past, this year’s conference theme was “Drive the Future,” an acknowledgement that times are changing and independent lessors need to change with them. New vehicle sales will continue to be strong, close to the 17M 2018 number of new car sales. 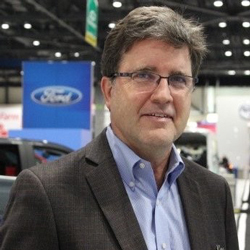 Trucks now make up 70% of new car sales in the U.S.
Clearly the industry has turned a corner based on the conference’s robust attendance, number of hotel rooms booked, and session participation. Common challenges continue to be access to funding, choosing technology, finding effective sales people, and, as many in the industry are aging, exit strategies and succession planning. The program developed sessions to address each of these challenges and to steer company leaders in the direction of growth and profitability through new business lines supported by cutting edge affordable technology. The conference kicked off with a networking reception and exhibitor meet and greet followed by a keynote speech sponsored by Toyota on elevating your business brand from Ryan Hart, Tournament Director for THE PLAYERS Championship which is based in nearby Jacksonville. Mr. Hart shared his experience in the development of THE PLAYERS iconic brand supported by its trophy, theme music, and community involvement. “Be relentless in your pursuit to protect it,” he stated. “It strengthens business relationships with both existing and prospective customers,” he added. The conference opening presentation by Master of Ceremonies Charlie Vogelheim, the former editor of Kelley Blue Book, and VP at J.D. Power and Associates, discussed the viability of the flying car. His current focus is the cross section of where Silicon Valley intersects with the automotive industry. “There will be flying cars before there will be autonomous cars,” he stated to a surprised group. Clearly captivating the audience, his presentation set the tone for what will drive the future of the industry. Several forward focused sessions included turbocharging the credit process (automation or auto decisioning), integrating emerging technologies, ride sharing (leasing for Uber and Lyft), vehicle subscriptions, and utilization autonomous vehicles. Not surprisingly, the future is here for many independent lessors who are reaching retirement age and, in an industry that is primarily family owned, they face unique challenges in succession planning. One robust session on ownership transfer brought together legal counsel, a CPA, and an investment banker to discuss challenges and strategies. Steve Sherman of CrestMount Advisors, industry investment banker, said, “Now is a good time to sell,” he stated. Understand the nuances of how a potential acquirer accounts for profits, have realistic expectations, and keep the “hassle factor” low, he advised the attendees. 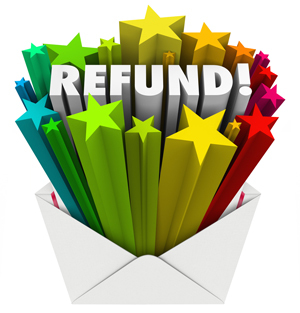 One longtime lessor added his experience in successful tax planning that enabled him to transfer his business to the next generation tax free. 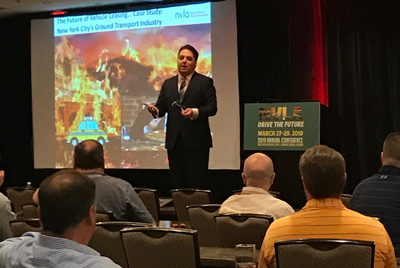 The closing session featured Matthew Daus, a transportation lawyer, City University of New York professor, and former New York City Taxi and Limousine Commissioner under Mayors Giuliani and Bloomberg. His session focused on the future of vehicle leasing in a rapidly evolving transportation technology world. Stating there will be a lot of business opportunities for lessors in the future, he cautioned session attendees that the various and fragmented governmental regulatory agencies will likely delay any significant utilization of autonomous vehicles for the next 20 – 25 years! The deep subprime leasing business, known as Lease Here Pay Here (LHPH) had a separate track of seminars as they did last year. This year’s Clemens Pender Award recipient was Roger Camping of RC Leasing in Phoenix, AZ. 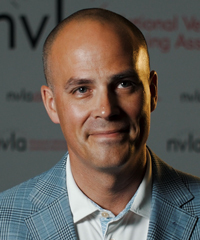 The Clemens Pender Award is the NVLA’s highest honor. Growing his business from start up to Arizona’s oldest independent vehicle leasing company over the past 38 years, Mr. 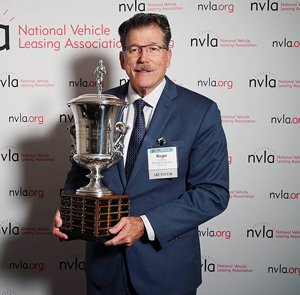 Camping demonstrates the values of commitment, transparency, and success throughout his decades of service to the NVLA and the leasing industry. The receptions, networking opportunities, quality speakers and attendees from the U.S. and Canada made this year’s conference a success. Clearly, as the conference speakers stated numerous times, the industry is at a tipping point for future growth while only a few short years ago it’s extinction was predicted by many. It was rewarding to see the optimism abound and this is what is likely to drive the future of automotive leasing. LOUISVILLE, KY. The American Association of Commercial Finance Brokers (AACFB) announces the election of three new members to its Board of Directors and the election of officers to the positions of President, President-Elect and Vice President. The newly elected Board members are Charles (Bud) Callahan, Jr., Laura Estrada and Teresa Thacker. The new officers are Paul Burnham, Cindy Downs and Carrie Radloff. They will begin their service in their new positions following the 2019 AACFB Annual Conference this May. 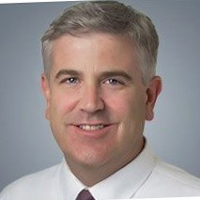 Bud Callahan, BPB, CLFP is President of National Equipment Leasing, Inc., a brokerage based out of Indianapolis, Indiana. He started his career in the automotive industry after becoming a veteran of the Vietnam War. Prior to his current position, Bud served as Vice President and General Manager of Dellen Financial Corporation. He has been a member of the AACFB since 1994 and is a past president of the AACFB Board of Directors. Bud has served on several AACFB committees and is a regular presenter at AACFB conferences. Laura Estrada is a vital part of the Covington, Georgia based Preferred Capital Funding, where she is involved in marketing, processing and closing different types of commercial loans with expertise in equipment and transportation. After graduating from the University of Georgia she worked for large companies in marketing and sales. Laura has held several board and committee chair positions with athletic and school organizations as well as her local Rotary Club. Preferred Capital Funding, Inc. became a member of the AACFB in 2014 and Laura been an active attendee and panelist at AACFB conferences. 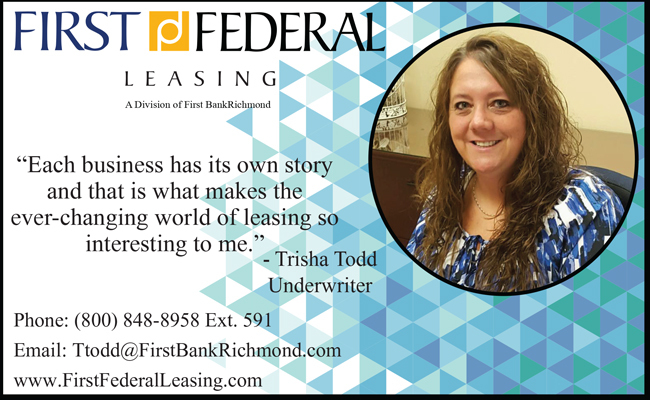 Teresa Thacker is the Senior Credit Analyst and Loan Syndicator for Brahma Lending and Leasing based in Burley, Idaho. She came to Brahma five years ago when she started out in sales, making cold calls to acquire her client base. Teresa plays an important role in the training of all new employees and serves as a mentor to both employees and clients. Brahma Lending and Leasing became a member of AACFB in 2013. Teresa has been an active contributor to the association’s online Community and regularly attends the AACFB Annual Conference. Secretary/Treasurer - Jim Phelps, Capital Equipment Leasing, Inc. Bud Callahan, BPB, CLFP, National Equipment Leasing, Inc.
Laura Estrada, Preferred Capital Funding, Inc. The American Association of Commercial Finance Brokers (AACFB) is the premier trade association empowering independent commercial finance brokers. The AACFB represents the expanding interests of its growing membership by providing best practice education and networking opportunities, while promoting a culture of ethics. For more information visit: www.aacfb.org. "I have known Barry 25 years or more. 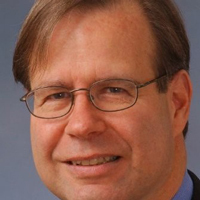 He has written many articles for Leasing News over the years. He has assisted with information and he has been helpful in settling Bulletin Board Complaints. I also have to mention he is one of my favorite published poets. The legal editor position was discussed both with Bob Teichman, Chair, and Shari Lipski, Vice Chair, with Tom McCurnin, as well as Advisory Board members. There were other considered, including another long time personal friend, Ken Greene, also on the advisory board and helpful with the original formation. Ken is just too busy at this time with his club, his band, AACLB, as well as his law practice. "I look forward to working with Barry as I have enjoyed his past contributions. "Welcome aboard and congratulations! Great to add another CLFP to our Leasing Advisory family." 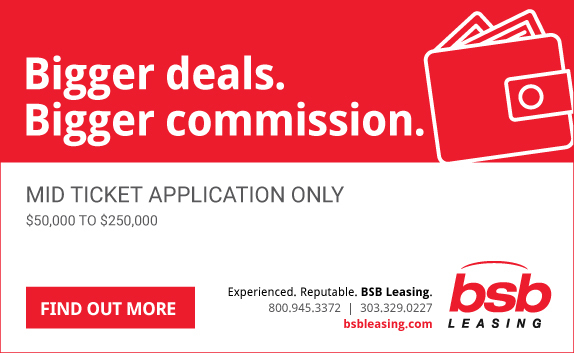 "Great choice for the most diversified leasing advisory board in the industry. I proclaim it. ☺"
"Barry, welcome to the Leasing News advisory board. Having worked with you on mutual client engagements and seen the legal insight you have provided in your newsletter and articles, I know that you will be a valuable addition to the board." "You are a great choice on the Leasing News Advisory Board. I have always enjoyed your commentaries and there is no doubt in my mind you are a great addition to this advisory board. I look forward to your participation. Congratulations my friend." Barry S. Marks, founding shareholder, concentrates his practice in the areas of equipment leasing and commercial lending and finance. 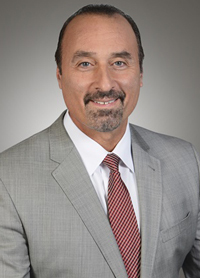 He has over thirty years of experience in equipment leasing and finance and is one of the industry's best known lawyers. Barry is the father of two girls and a boy. When he is not working, Barry finds time to write poetry and the occasional short story. He is president of the Alabama State Poetry Society and was Alabama's Poet of the Year in 1999, and is the author of two award-winning books of original verse. For years Barry adamantly refused to write a form equipment lease in rhyming iambic pentameter but has recently succumbed to pressure. It is available "free of charge and worth every penny." Eagle Scouts are well prepared for the unknown. They carefully plan, heed warning signs, and pack provisions for multiple situations. Management teams throughout the commercial equipment leasing industry are taking their cue from the scouting handbook and are planning and preparing for the future. There are many opportunities on the horizon; however, there are also a few warning signs which cannot be ignored (ex: an inverted yield curve, a sudden, yet deep, drop in February leasing activity, lower than expected employment creation numbers in February). These signs may be anomalies, but they should not be ignored. My recent experience with industry participants has revealed some increases in delinquencies, especially among tougher credit portfolios (overall delinquencies remain relatively low by historical levels). Disparity between top sales reps and average sales reps continues to rise as the market demands high-quality, knowledgeable professionals to win the market's best available transactions. Management teams are taking basic steps to improve their positions in the market and are preparing for a softening of the market. No one appears to be predicting a 2008 storm, nor is the timing of a "bump in the road" certain. However, many believe that a slowdown will occur at some point over the next six to eighteen months. Collection teams are being expanded to handle an increase in delinquencies. One manager related that he expects their delinquencies to double over the coming year (even with the increase his delinquencies will be below the 25 year average). Over the past 8 years his company's delinquencies have been significantly low and his collection team had been significantly reduced. It's time to gear things up and to be prepared. Funding partners and bank relationships are being reaffirmed. Past experiences have not been forgotten - capital partners are essential to weather even the smallest of disturbances. Long-term relationships are more important than 25 or 50 basis points. Marketing teams are being strengthened with professionals who are capable of establishing key accounts, maximizing company profits, and strengthening the brand. Processes are being re-evaluated for deficiencies. In recent years, many participants have cut processing corners to accommodate clients and increase production. Cutting corners are revealed as liabilities in even the smallest softening of the market and must be corrected. The above steps are always strong management initiatives. Prepared companies are well positioned for all economic times and are able to outperform their unprepared or reckless competitors. Even a small softening of the market will, as in the past, eliminate less savvy companies in the industry. The free market works. Overly aggressive, underpriced participants will be forced to pull back or may be eliminated. Prepared, knowledgeable, savvy players will be positioned to step in and take up the slack. Preparation creates opportunity. 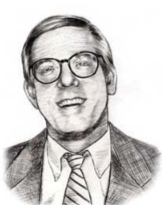 Before retiring, Tom was asked by the editor to put down in writing what he has learned being a financial services lawyer for 44 years relative to business best practices. It took him several weeks, with re-writes. There were a number of topics about which he wrote. 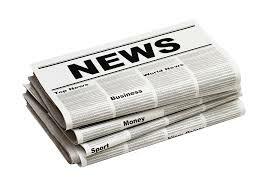 Leasing News has published 794 of his columns. Realizing that, I thought it would make an even 800 by putting his advice into six categories. I don’t mean to sound preachy here, but best practices and business morals matter, at least for judges. I am personal friends with a half dozen judges, federal and state, and each one of them tells me the same story. At the inception of the case, the judge wants to figure out who the good guys are and who the bad guys are, if that is possible. Because the judge only sees the lawyers, determining white hats from black hats is very difficult when bad clients hire good, reasonable lawyers. But trust me, at some point the judge will figure it out. The leasing company’s business practices and morality will be assessed on some level by the judge. This doesn’t mean that if the company has shady business practices, it will always lose. What it does mean is that if the company has fair honest, conspicuous business practices, you may catch a break. Also relevant to best practices is to understand the substantive law for the playing fields your company operates in, and operate within those confines. So what are takeaways with good business practices? ▪ Pigs Get Fat, Hogs Get Slaughtered. Gordon Gekko was correct that greed is good, but conduct your business within the strict confines of the law and don’t do anything stupid that would embarrass your company in front of the judge or jury. ▪ Take the High Moral Road. If you are operating outside the confines of the law, or trying to cheat your customers, this will be figured out and no amount of lawyering will save you. ▪ Why Try to Take Advantage of Customers When Repeat Business Is The Easiest Sale? The easiest sale you can make is to existing customers who were pleased with the experience. Forbes noted that selling to new customers costs 5-10 times more than selling to existing customers. Forbes also noted that repeat customers tend to spend 67% more than new customers. So treat existing customer with great reverence. ▪ Contract Documents Need to be Clear and Unambiguous. It is certainly worth mentioning that a key element in transparency and good business practices is your financing documents, which should be able to be easily understood by lay people. If your lawyer’s argument is that the document was complicated enough that only the customer’s lawyer could understand it, you may risk the possibility that the judge will view your incomprehensible documents negatively. ▪ Understand the History of Leasing. Those who do not learn history are doomed to repeat it. Whatever crazy deal you are working on has been done before. Reach out to senior people who might better understand the risks and rewards of your proposed deal. ▪ Understand the Substantive Law of the Commercial Code and Bankruptcy. Your company may or may not comply with every aspect of the UCC and Bankruptcy law, but that should be an informed decision. Don’t make decisions in a vacuum. Your underwriters and risk managers should attend every seminar on the subjects. This does not mean that your senior staff needs to know every nuance of Bankruptcy and the UCC, but the risk manager’s ability to spot issues will make decisions much easier. ▪ Not Every Customer Complaint is a Bad Practice. The contract documents form the basis of the deal. Assuming they are clear an unambiguous, they should be enforced without feeling guilty about it. I get that some customer don’t read the documents and other customers have issues with their vendors. But these customer complaints should not translate to your company being tagged as a bad guy. As my dad liked to say, “You can’t fix stupid.” All that said, once the customer has admitted being stupid, you may want to consider throwing him a bone or putting some pressure on the vendor, if you can. It certainly doesn’t hurt, it may earn a repeat customer, and if the matter goes into litigation, it will make you look good. ▪ Bad Practices Could Mean a Class Action. I’ve reported previously on a variety of financing companies which were subject to class actions, due to a pervasive practice of cheating customers. Such class actions could result in a payout of millions of dollars, destroying the wealth and reputation of your company. The bottom line to business practices is that business morals matter. If the company is caught conducting inappropriate, unsavory, or sharp practices, the company may be looked on with some disfavor by the Court. 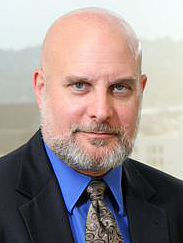 Tom McCurnin was a partner at Barton, Klugman & Oetting in Los Angeles, California. Effective March 31, 2019, he can be found hiking the Pacific Crest Trail, making traditional furniture, or in some crazy third world country. With marijuana legal for recreational use in 10 U.S. states and given the green light for medicinal use in another 34, jobs have experienced a noticeable boost. The Bureau of Labor Statistics refuses to count or report on job gains in the marijuana industry because it remains illegal at federal level. A new report from cannabis website Leafly states that an estimated 211,000 people are now employed in the industry full time while close to 100,000 other jobs indirectly depend on it. Putting that into perspective, the U.S. has 69,000 brewing workers while 52,000 have coal mining jobs. The sector is continuing to add jobs steadily and Leafly describes the trend as "America's hidden job boom." 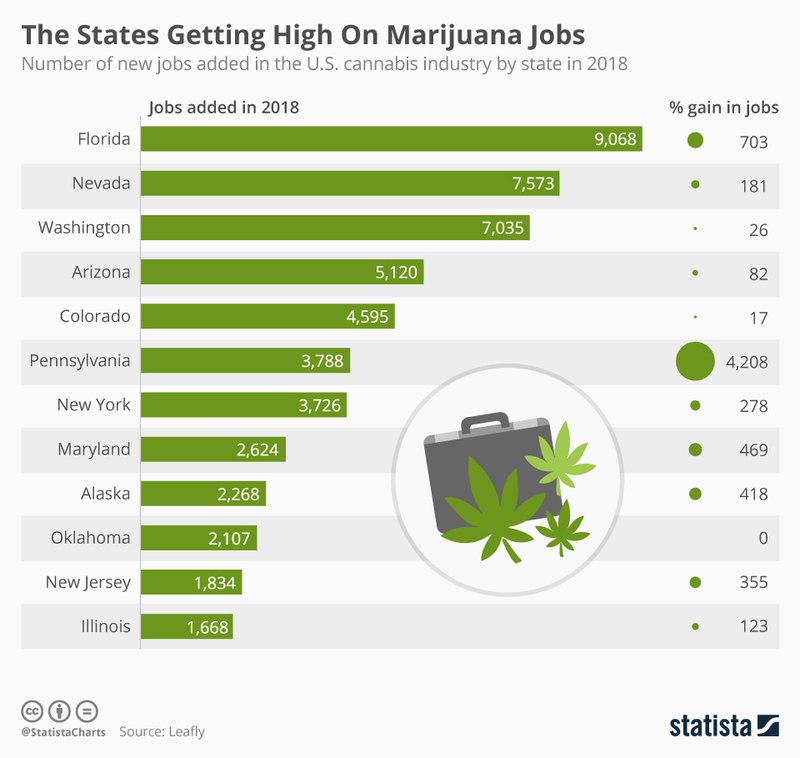 The research states that the U.S. added 64,389 full time jobs in the marijuana sector in 2018, a 44 percent increase on the previous year, making it the fastest growing job sector in the U.S. at the moment. The industry is now worth more than $10 billion annually and the following infographic provides an overview of the states with the highest rates of job growth. Florida added the most jobs in 2018 with 9,068 and Pennsylvania had the largest percentage increase at 4,208 percent. Pennsylvania had a mere 90 workers employed in marijuana at the beginning of 2018 and by December of last year, that had increased to 3,878. Even though California has been a trailblazer for the industry in recent years, it suffered upheavals in 2018 as it transitioned from an unregulated medical market to a regulated one which caused its total legal market size to dup. It is expected to rebound this year, however, and add another 9,500 jobs. Across the nation, jobs in marijuana are projected to grow 110 percent from 2017 to 2020. 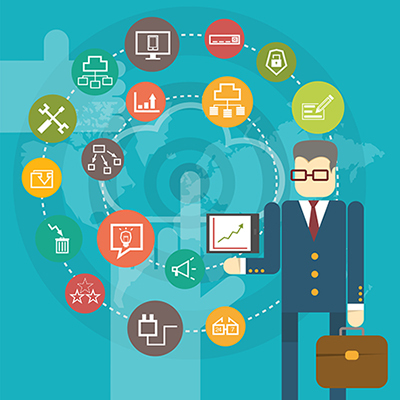 These are online companies that connect via Financial Technology to funders of business loans, leasing, working capital, and other finance methods to secure credit approval that meet the criteria of the funder that they represent as well as being the most attractive rate and terms for the applicant. The list is down to two; one licensed in California and one not. In 2000, there were 23 such companies. There are many alternate finance companies with many sources but they do not qualify as an Aggregate Funding Source. 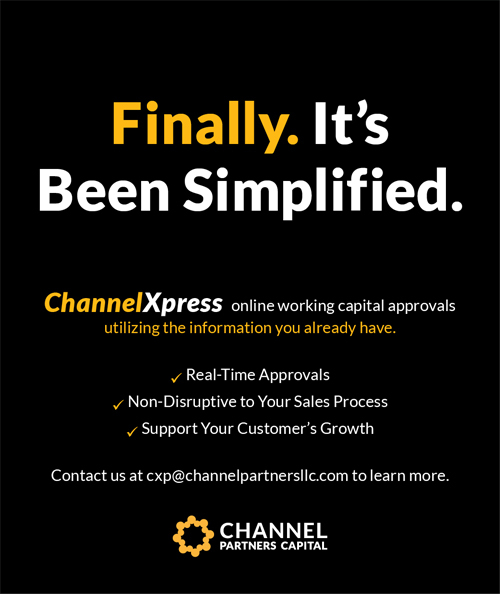 Leasing News reported in February, 2019, Capital Relay was no longer online and not licensed in California, therefore was taken off the list. LeaseQ, Burlington, Massachusetts was purchased by TimePayment, Burlington, Massachusetts, the end of January, this year. 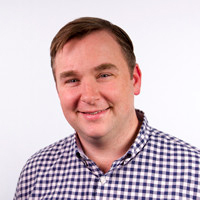 In the press release that follows, they announce the acquisition, and state, "LeaseQ’s marketplace will continue to operate under the LeaseQ brand while the underlying technology is integrated into TimePayment’s product offerings." It is therefore removed from this list. These companies have several funders "where funders compete." Capfundnow is not licensed in California, according to the Department of Business Oversight. Zoominfo states they are located in Hauppauge, New York, with 11 employees. This company appeals to vendors, sellers of equipment. BURLINGTON, Mass. – TimePayment, an award-winning FinTech company, announced that it has acquired LeaseQ Inc. The acquisition adds immediate value to TimePayment’s strategic focus of offering vendor partners a leading platform, differentiated product offerings, faster funding, and improved services. Additionally, LeaseQ delivers accretive originations volume and expanded funding capabilities to TimePayment’s vendor business unit. 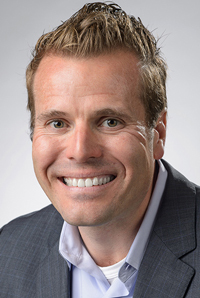 Jay Haverty, President and Chief Operating Officer, TimePayment, said, “Equipment vendors need a sales financing partner that brings speed and simplicity to their process while also delivering the modern and transparent customer experience that prospective borrowers have come to expect. With the LeaseQ acquisition, we accelerate delivery of differentiated features to TimePayment’s SMB financing platform. TimePayment is a Boston-based FinTech company owned by affiliates of Fortress Investment Group, a leading, highly diversified global investment manager. Fortress is owned by SoftBank Group Corp. (TOKYO: 9984), a global technology investor focused on advancing the Information Revolution by forming long-term partnerships with the most superior companies in the information industry. 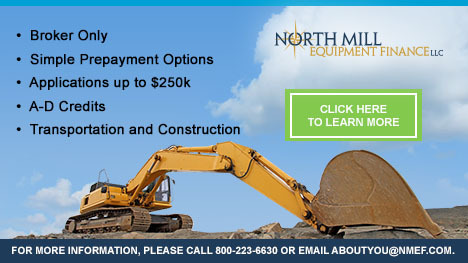 TimePayment leads the industry with technology tools and capital that enables equipment sellers and financial intermediaries to offer fast, paperless equipment lease financing to their customers. 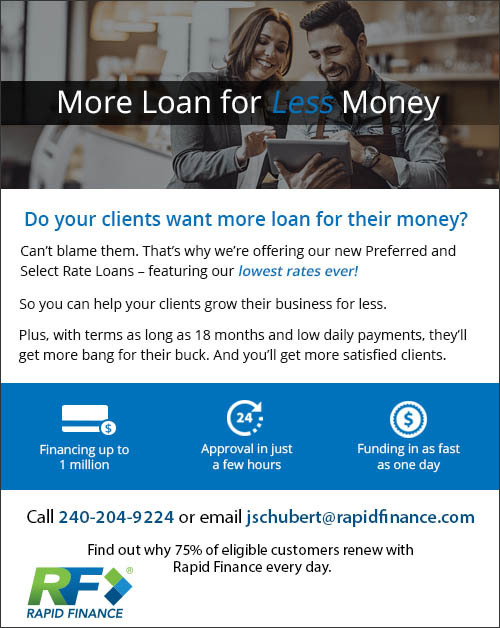 The company’s proprietary credit scoring and risk-based transaction model delivers competitive lease financing solutions across the credit spectrum; from Fortune 500 companies to small business start-ups. TimePayment proudly serves more than 100,000 active accounts with transaction sizes ranging from $500 to over $500,000. Learn more at www.TimePayment.com. 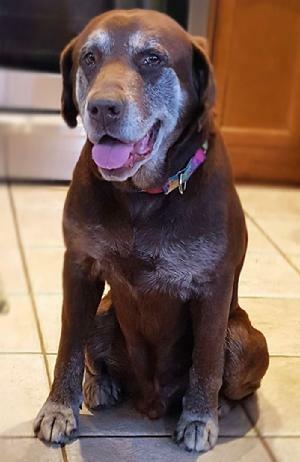 Meet Patrick, an adorable, 9-year-old purebred Labrador Retriever. This beautiful boy is just as sweet as they come and we love his happy expression and smile. His sugar face is to die for! Patrick is just a wonderful easy going, typical Lab who loves everyone! Patrick came to us from the shelter where he was listed a “Stray.” No one came looking for him leaving him confused and alone. He was a shelter favorite and even shelter favorites have their time limit. Sadly, Patrick had to go and that is when we received a call to step in and help. One look at his sugar face and you can see why we did. Once we jumped in to rescue this gorgeous boy, we became aware of how fabulous is really is. His temperament, despite his horrible journey, was intact and friendly. He wanted to please, love, and be a Lab. We knew someone out there would be extremely lucky to bring this angel home. Though we already knew he was a prize, so friendly, wiggly, happy and was the best car ride buddy, we found out even more about his sweetness at his initial vet visit where he was perfect for his bath, grooming and ear cleaning. Everyone commented on how easy and cheerful Patrick was. He has stolen the hearts of everyone who's met him. Patrick is exceptional. He's well behaved, and such a loving boy. He is calm but a lot of fun and has an infectious charm. He loves attention and being adored, pet, and snuggled by his humans but he equally loves meeting and being with all the other dogs. He is wonderful in the house, non-destructive, potty trained and using the doggie door. He is really such a good boy and will make a family so happy. Patrick is great with other dogs and shares toys, beds, and is not food or toy possessive. We think Patrick would do great with another dog that is a good match for him. He'll also do great as a one and only in the right situation. Patrick is very good on the leash and passes other dogs nicely, knows some commands, and is eager to please his people. He is really a pleasure to walk. Not to mention all your neighbors will comment on his adorable good looks! Patrick has been fully vetted and given a clean bill of health. He is neutered, up to date on vaccines, and microchipped. He's all clean and shiny like a new penny just waiting to be picked up and adored! He is ready to come home with you! This fellow is extra special. He will light up your life as well as your heart. He's a lovely purebred Labrador Retriever with so much to give. 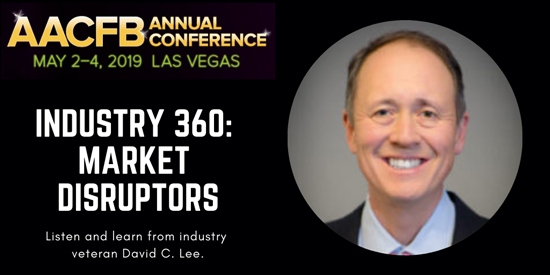 Join 30-year finance industry veteran, David Lee, Chairman and CEO of North Mill Equipment Finance on Friday, May 3rd for the opening general session of the 2019 AACFB Annual Conference and learn how YOU can learn and benefit from industry disruptors! 1783 - Birthday of Washington Irving at New York, NY. American author, attorney and one-time US Minister to Spain. Creator of “Rip Van Winkle” and “The Legend of Sleepy Hollow”, he was also the author of many historical and biographical works, including “A History of the Life and Voyages of Christopher Columbus” and “The Life of Washington”. Died at Tarrytown, NY, Nov 28, 1859. 1822 – Edward Everett Hale, American author, historian and Unitarian minister, was born in Boston where he died in 1909. He published a wide variety of works in fiction, history and biography. He used his writings and the two magazines he founded to advance a number of social reforms, including religious tolerance, the abolition of slavery and wider education. 1837 - John Burroughs, American naturalist and author, was born at Roxbury, NY. "Time does not become sacred to us until we have lived it," he wrote in 1877. Died en route from California to New York, Mar 29, 1921. 1858 - Dr. Matthew Ricketts, first African-American state senator in the Nebraska Legislature, was born in Ricketts, KY. He was also the first African American to graduate from the University of Nebraska College of Medicine in Omaha. He died in 1917. 1865 - Union forces occupied Petersburg, VA, one day after the Confederate evacuation. Lee's forces moved south but were blocked by Union Troops. After the withdrawal of Robert E. Lee's troops, the Confederate capital of Richmond and nearby Petersburg surrendered to Union forces. Richmond had survived four years of continuous threats from the North, but was destroyed by ravaging fires set by the Confederates not wanting the Union to capture any goods, and looters took what they could steal before the fire swept Richmond. On April 4, the city was toured by President Abraham Lincoln. On April 9, at Appomattox Court House, Virginia, General Robert E. Lee surrendered to General Grant. April 14th, ten days after touring the devastated City of Richmond, President Lincoln was assassinated. On May 10th, Confederate President Jefferson Davis was captured at Irwinville, GA. The Civil War was virtually ended, but would not be officially over until April 2, 1866. 1888 - Known as the "Mother of the Blues," Gertrude "Ma" Rainey was born at Columbus, GA. She made her stage debut at the Columbus Opera House in 1900 in a talent show called "The Bunch of Blackberries." After touring together as "Rainey and Rainey, the Assassinators of the Blues," she and her husband eventually separated and she toured on her own. She made her first recording in 1923 and her last on Dec 28, 1928, after being told that the rural southern blues she sang had gone out of style. She died Dec 22, 1939, at Columbus, GA.
1898 – Henry Luce was born in China. An American magazine magnate who founded “Time” magazine, he was called "the most influential private citizen in the America of his day." He also launched “Life”, “Fortune”, and “Sports Illustrated”. In 1941, he declared the 20th century would be the "American Century". Luce died in 1967. 1904 - Birthday of Sally Rand, born Helen Gould Beck at Hickory County, MO. She is still talked about to this day. American actress, ecdysiast and inventor of the fan dance, which gained tremendous fame at the 1933 Chicago World's Fair. Died at Glendora, CA, Aug 31, 1979. 1906 - Barney Bigard was born Albany Leon Bigard in New Orleans. A jazz clarinetist who also played tenor sax, he was known for his 15 year tenure with Duke Ellington. He also played clarinet with the Louis Armstrong band. 1907 – Iron Eyes Cody was born Espera Oscar de Corti in Kaplan, LA. He portrayed Native Americans in films. In 1996, his 100 percent Italian ancestry was confirmed by his half-sister. He died in LA in 1999. 1916 - Birthday of Boogie-Woogie piano player Kenny Kersey, Harrow, Ontario. although former S.F. Mayor Willie Brown is doing an excellent job in every Sunday edition. I knew him well, but I bet every citizen in San Francisco he had met became his friend, too. 1924 – Marlon Brando was born in Omaha. He is hailed for bringing a gripping realism to film acting, and is widely considered to be one of the greatest and most influential actors of all time. A cultural icon, Brando is most famous for his Oscar-winning performances as Terry Malloy in “On The Waterfront” (1954) and as Vito Corleone in “The Godfather” (1972), as well as influential performances in “A Streetcar Named Desire” (1951), “The Wild One” (1953), “Last Tango in Paris” (1972) and “Apocalypse Now” (1979). Brando was also an activist, supporting many causes, notably the Civil Rights movement and Native American causes. He died in 2004. 1926 – Astronaut Gus Grissom was born in Mitchell, IN. He was one of the original seven Mercury astronauts, the second to fly in space, and the first astronaut to fly in space twice. On Jan 27, 1967, Grissom was killed along with fellow astronauts Ed White and Roger Chaffee during a pre-launch test for the Apollo I mission at Cape Kennedy. He was the first of the Mercury Seven to die. He was also a recipient of the Distinguished Flying Cross and, posthumously, the Congressional Space Medal of Honor. 1930 - The fledgling film industry patted itself on its collective back this night at the Ambassador Hotel in Los Angeles. They were celebrating the 2nd Annual Academy Awards presentation for movies made during the 1928-1929 year. (Movies made during the 1929-1930 year were honored seven months later on November 5.) There were no 'officially' announced nominees; but there was a host for the evening's activities: Writer, director, producer William C. de Mille. No one ran away with all the awards either. The Best Director was Frank Lloyd for "The Divine Lady"; Warner Baxter was voted Best Actor for his role in "In Old Arizona", while Mary Pickford took home the Best Actress award for her part in "Coquette". Hanns Kräly penned the script for "The Patriot", winning the Best Writing award and the Best Picture of the year was "The Broadway Melody" produced by Harry Rapf. 1934 – Jane Goodall was born in London. An English primatologist, ethologist, anthropologist, and UN Messenger of Peace, she is considered to be the world's foremost expert on chimpanzees. Goodall is best known for her 55-year study of social and family interactions of wild chimpanzees in Tanzania. 1936 - Birthday of the fabulous blues organist Jimmy McGriff, Philadelphia, PA.
1941 - Birthday of lead singer for The Spinners, Philippe Wynne, Cincinnati, Ohio. 1942 – Japanese forces began their brutal assault at Bataan against the US and Filipino troops. This represented the most intense phase of Japan’s invasion of the Philippines during the war. In January 1942, Japanese forces invaded Luzon and several islands in the Philippine Archipelago after the bombing of Pearl Harbor. The commander-in-chief of all Filipino and American forces in the islands, General Douglas MacArthur, consolidated all of his Luzon-based units on the Bataan Peninsula to fight against the Japanese invaders. By this time, the Japanese controlled nearly all of Southeast Asia. Bataan and Corregidor were the only remaining Allied strongholds in the region. Despite a lack of supplies, Filipino-American forces managed to fight the Japanese for three-months, engaging them initially in a fighting retreat southward. As the combined Filipino and American forces made a last stand, the delay cost the Japanese valuable time and prohibited immediate victory across the Pacific. The surrender at Bataan was the largest in American and Filipino military histories and was the largest United States surrender since the Civil War at Harper’s Ferry. Soon afterwards, Filipino and American POWs were forced into the Bataan Death March. On the night of 12 March, General MacArthur, his family, and several USAFFE staff officers left Corregidor for Mindanao. MacArthur was eventually flown to Australia where he broadcast to the Filipino people his famous "I Shall Return" promise. 1942 - "People Are Funny" was first heard on NBC radio. Art Baker was the show's first host. Art Linkletter took over the popular program on radio in 1943 and later moved it to television. 1942 – Singer Billy Joe Royal was born in Valdosta, GA.
1948 - Suggested by Secretary of State George C. Marshall in a speech at Harvard, June 5, 1947, the legislation for the European Recovery Program, popularly known as the Marshall Plan. It was signed by President Truman today into law. After distributing more than $12 billion, the program ended in 1952. 1949 - Lyle Martin Alzado, football player born at New York, NY. Alzado grew up on Long Island and graduated from Yankton College in South Dakota with a bachelor's degree in special education. He played football, earning Little All-America honors, and was drafted in 1971 by the Denver Broncos. Alzado gained fame as part of Denver's “Orange Crush” defense and for his fierce demeanor. He was traded to the Cleveland Browns in 1979 and in 1982 to the Los Angeles Raiders. After retiring at the end of the 1985 season, Alzado acted in movies. He was diagnosed with brain cancer in 1991, which he attributed to a lifetime of steroid usage. He spent the last months of his life campaigning against steroids and human growth hormone. Died at Lake Oswego, OR, May 14, 1992. 1953 - For the first time, Radnor, Pennsylvania's "TV Guide" was published. In its first year, the publication reached a circulation of 1,500,000 readers. 1955 - Fred Astaire made his television debut on "The Toast of the Town", hosted by Ed Sullivan. Already an established dancer in films, Astaire quickly became a television sensation too. 1956 - Elvis Presley makes the first of two appearances on "The Milton Berle Show," Presley sings "Heartbreak Hotel," "Money, Honey" and "Blue Suede Shoes" and earns $5,000. It's estimated one out of every four Americans sees his performance. 1961 - Birthday of comedian Eddie Murphy, Brooklyn, NY. 1962 - “The Birmingham Resistance.” In retaliation against a black boycott of downtown stores, the Birmingham, AL, City Commission voted not to pay the city's $45,000 share of a $100,000 county program which supplied surplus food to the needy. More than 90 percent of the recipients of aid were black. When the NAACP protested the Commission's decision, Birmingham Mayor Arthur J. Hanes dismissed their complaint as a "typical reaction from New York Socialist radicals." 1962 - Race jockey Eddie Arcaro retired with 15,327 victories for total winnings of $12,265,455. Arcaro had the distinction to be the first jockey to win 3,000 races and the first to ride five Kentucky Derby winners including: Lawrin, Whirl-a-Way, Hoop Jr., Citation and Hill Gail. 1963 - Martin Luther King, Jr., launches voter registration drive in Birmingham, Alabama, Police Chief "Bull" Connor responds with fire hoses & attack dogs. Sit-ins and demonstrations were begun by Southern Christian Leadership Conference (SCLC) and volunteers. The progressive city government and Connor will get an injunction to prevent demonstrations on April 11, and King and many others will be jailed on the 12th for violating the injunction. 1965 - One of the great all-time party classics, Sam the Sham (Domingo "Sam" Samudio) and the Pharaoh's "Wooly Bully" is released. 1965 - Bob Dylan appeared on the pop music charts for the first time. "Subterranean Homesick Blues" entered the Top 40 at number 39. The song stayed on the charts for eight weeks. Dylan would chart a total of 12 singles on the pop charts between 1965 and 1979. He appeared in the films "Don't Look Back", "Eat the Document" and "Pat Garrett and Billy the Kid". He made the film "Renaldo and Clara" in 1978. Dylan co-starred in the film "Hearts of Fire" in 1987. He became a member of the Traveling Wilburys and was inducted into the Rock and Roll Hall of Fame in 1988. Dylan won the Grammy's Lifetime Achievement Award in 1991. 1968 - “2001: A Space Odyssey” premiered. Directed by Stanley Kubrick, this influential film has elicited many different interpretations. Sci-fi novelist Arthur C. Clarke based the screenplay on his 1966 book which was prescient in several ways. Written before men had landed on the moon, Clarke describes an expedition launched to Jupiter to track a mysterious signal emanating from the moon. Clarke gave the world's population as six billion (achieved in 1999) and described a space station (the US was at that time building one with Russia). During a flight, a character reads the news on his electronic news pad. The film starred Keir Dullea, William Sylvester, Gary Lockwood, Daniel Richter and HAL 9000, the creepy computer that had human emotions. The theme music was Richard Strauss's “Also Sprach Zarathrustra”. 1971 -The Temptations hit the top of the Billboard Pop chart for the third and final time with "Just My Imagination". They would place 11 more songs in the US Top 40 over the next 20 years. 1974 - Patty Hearst announces in a taped message to a Berkeley radio station that she has joined her kidnappers, the Symbionese Liberation Army (SLA): "I would never choose to live the rest of my life surrounded by pigs like the Hearsts". 1974 - A "Super-Outbreak" of tornadoes ravaged the Midwest and the eastern U.S. Severe weather erupted early in the afternoon and continued through the next day. Severe thunderstorms spawned 148 tornadoes from Alabama to Michigan, most of which occurred between 1 PM (CST) on the 3rd and 1 AM on the 4th. The tornadoes killed 315 persons, injured 5300 others, and caused 600 million dollars damage. Alabama, Kentucky and Ohio were especially hard hit in the tornado outbreak. One tornado destroyed half of the town of Xenia, OH killing 34 persons. Another tornado, near the town of Stamping Ground, KY, produced a path of destruction a record five miles in width. A tornado raced through Guin, AL at a speed of 75 mph. Two powerful tornadoes roared across northern Alabama during the early evening hours, killing fifty persons and injuring 500 others. Some rescue vehicles responding to the first tornado were struck by the second. 1978 – 50th Anniversary of the Academy Awards at the Dorothy Chandler Pavilion, with Bob Hope as the host of the festivities. Although "Star Wars" was nominated in 10 categories including Best Picture. "Annie Hall" (Charles H. Joffe, Producer) won the top award, as well as Oscars for Best Director (Woody Allen); Best Actress (Diane Keaton); and Best Writing, Screenplay Written Directly for the Screen (Woody Allen, Marshall Brickman. The Best Actor statuette went to Richard Dreyfuss for his performance in "The Goodbye Girl"; Jason Robards was acclaimed as the Best Actor in a Supporting Role ("Julia"); his supporting co-star, Vanessa Redgrave, also took home the golden boy; as did Joseph Brooks for Best Music/Song: "You Light Up My Life" from the movie with the same title. "Star Wars" was honored with six Academy Awards plus the Special Achievement honor to Benjamin Burtt, Jr. for Sound Effects (for the creation of the alien, creature and robot voices) which he shared with Frank Warner ("Close Encounters of the Third Kind" - Sound Effects Editing). The other Academy Awards for "Star Wars" were: Best Music/Original Score (John Williams); Best Effects/Visual Effects (John Stears, John Dykstra, Richard Edlund, Grant McCune, Robert Blalack); Best Film Editing (Paul Hirsch, Marcia Lucas, Richard Chew); Best Sound (Don MacDougall, Ray West, Bob Minkler, Derek Ball); Best Costume Design (John Mollo); Best Art Direction-Set Decoration (John Barry, Norman Reynolds, Leslie Dilley, Roger Christian). 1981 – “Atlantic City”, starring Burt Lancaster and Susan Sarandon, and directed by Louis Malle, opened in theaters through the country. The film won the Los Angeles Film Critics Association Awards for Best Actor, Best Picture, and Best Screenplay, and was nominated for five Oscars, although it was edged out. shipped to dealers the older version to become obsolete. 1982 - John Chancellor stepped down as anchor of the "The NBC Nightly News". Roger Mudd and Tom Brokaw assumed roles as co-anchors. 1985 - The famed Brown Derby restaurant in Hollywood closed on this day, after 57 years. All of the furnishings were kept, including famous Booth #5 -- where Clark Gable proposed to Carole Lombard. 1989 - Thunderstorms produced severe weather from the Southern Plains to the southern and central Appalachians. The thunderstorms spawned twenty tornadoes, including one which caused eight million dollars damage at Fort Branch IN. 1993 - Ray Charles became the first performer to have hits on Billboard's charts in six different decades when his version of Leon Russell's "A Song for You" entered the R&B singles chart. Charles had his first R'n'B charter in April, 1949 with "Confession Blues" as a member of the Maxine Trio. 2008 - With her 18th chart-topping hit, "Touch My Body", 38 year old Mariah Carey passed Elvis Presley for the most number one songs on the Billboard singles chart, placing her second only to The Beatles. 2008 – Texas law enforcement cordoned off the FLDS’ YFZ Ranch. Eventually 533 women and children will be removed and taken into state custody.